Our Femeraid International - Angola Medical Rescue Team continues saving lifes and a full report of all of its missions will soon be published. 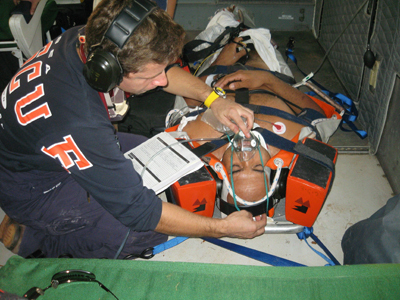 On the 27th of September 2008 our team was called to Ndalatando - Angola to rescue a brasilian citizen who was victim of a serious accident: a heavy veihicle for road building turned over the victim who suffered serious spinal trauma, neurogenic shock with loss of sensitivity and paralysis of the lower limbs. The victim was rescued, stabilized and transported to the Hospital in Luanda.